The Karman essential wheelchair is a standard wheelchair with padded removable armrests and swing away, detachable footrests. 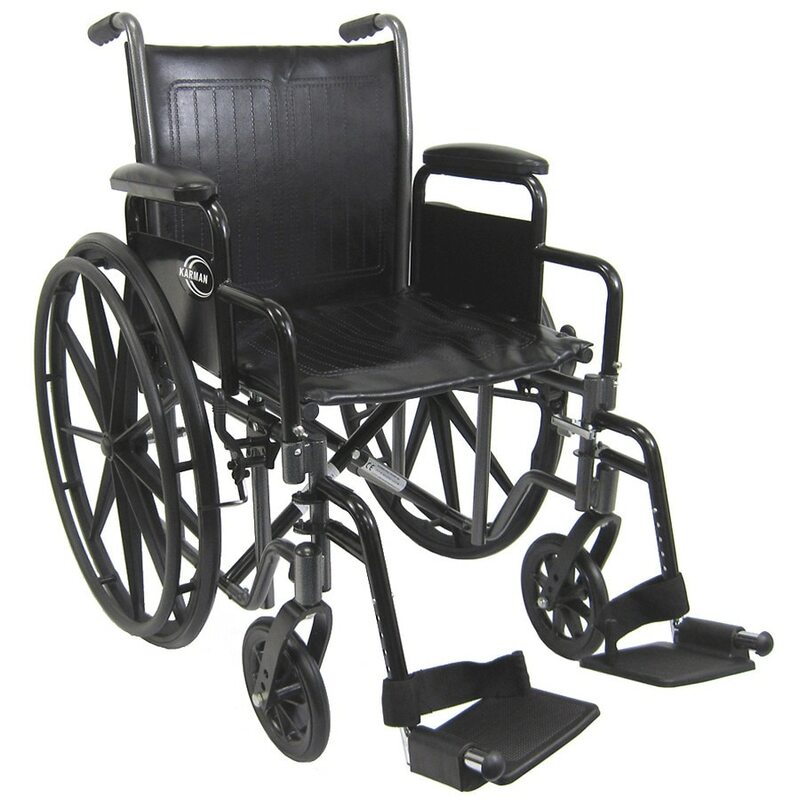 It comes equipped with adjustable toggle wheel locks, the length of the footplates is also adjustable. It is high-grade flame retardant embossed for added safety.